You might be thinking of buying your next car on a credit card. In some cases, credit cards allow you to take advantage of special offers and low introductory rates. However, it relies on you having a limit to cover the whole car, and meeting minimum monthly payments. These payments are typically a lot lower than other finance agreements, so it may be tempting to not pay a larger amount and may mean it takes a lot longer to pay off the debt. Also, not every dealer will accept credit cards. Even those that do may not let you put the full amount on a card. How do I buy a car with a credit card? 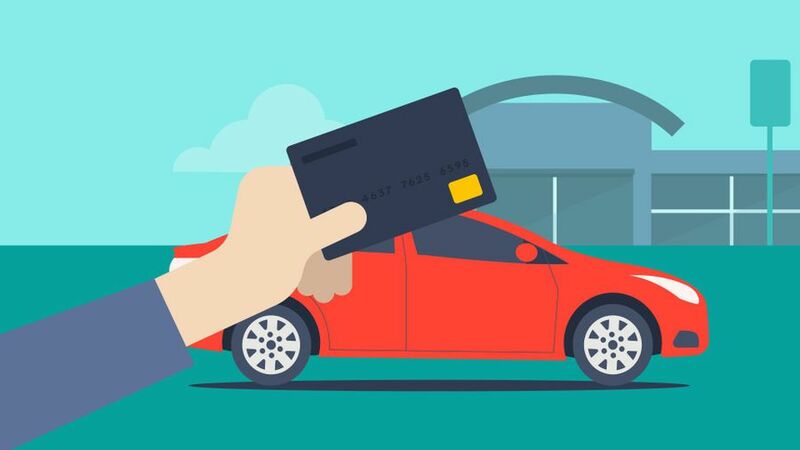 Buying a car on a credit card is the same as buying anything else on a credit card. The full amount is paid up front, then you pay the credit card company back over the coming months, paying interest on the outstanding amount. Unlike some other loans, you don’t have to pay a set amount each month, so you can choose how much you pay back each month, as long as you meet the minimum monthly payments. This all sounds good, but there are issues. Buying a car on a credit card might not work in the first place. Many dealers won’t accept a credit card, and even those who do, sometimes have a limit on how much you can pay by card, or charge up to an extra 3% for paying by card. If the dealer will let you pay on card, it’s possible your credit card company won’t: some companies have a limit on the value of an individual purchase, so check before you sign up. One of the big pluses to paying on credit card – as long as you spend between £100 and £30,000 (it’s very unlikely you will be able to get a credit card limit over £5,000) – is that you get extra protection as a consumer through the Consumer Credit Act. With that, you’ll still be covered for the full amount even if you just pay the deposit using your credit card. For example, if you buy a car from a company that goes bust before delivering the car, you won’t end up out of pocket.